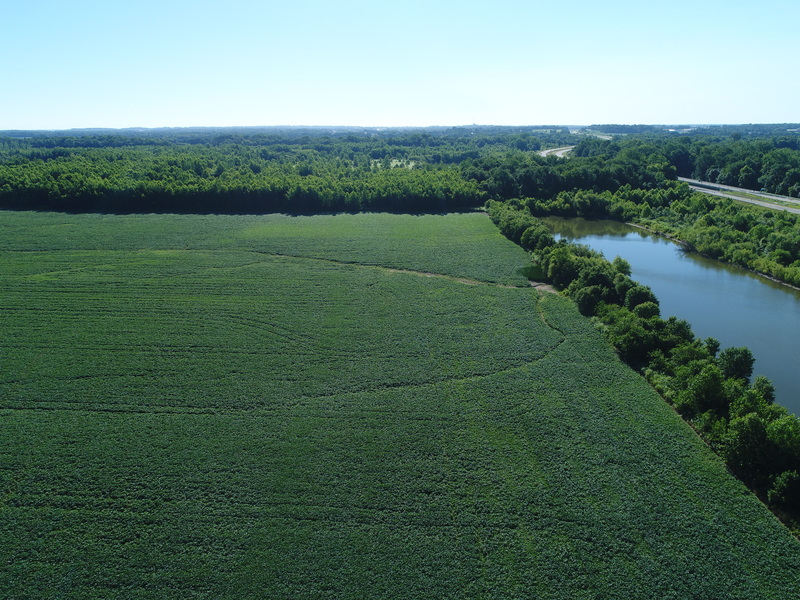 Scouting, from the air… | Carnahan & Sons, Inc.
John flew the DJI Phantom 4Pro this morning at the Commer and Nellie farms in order to evaluate the need for replant. He said, “Sure is better than walking, huh?” I gotta agree. Even though it is pleasantly cool this morning (day began at 58F or 14C), flying to look at these distant spots is easier than walking. He was even able to scout for weed pressure, and found some cockleburs at Commer that he will spray in the next week or so. 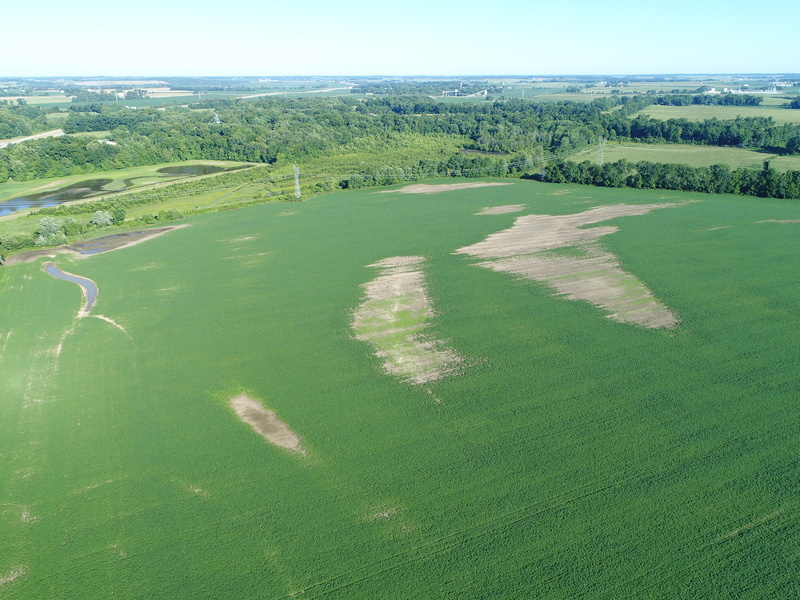 This shot of the west side of Commer shows the areas that will need some replant, as soon as it it dry enough. Approximately 12 acres, by my estimate. If you zoom in on this pic, you can see some cockleburs that will need some attention soon. South end of Nellie farm… looks good enough to keep the replant out of here. North end of Nellie, adjacent to W. Fork of White River… some drowned spots, but ‘keep out’ the replant planter. 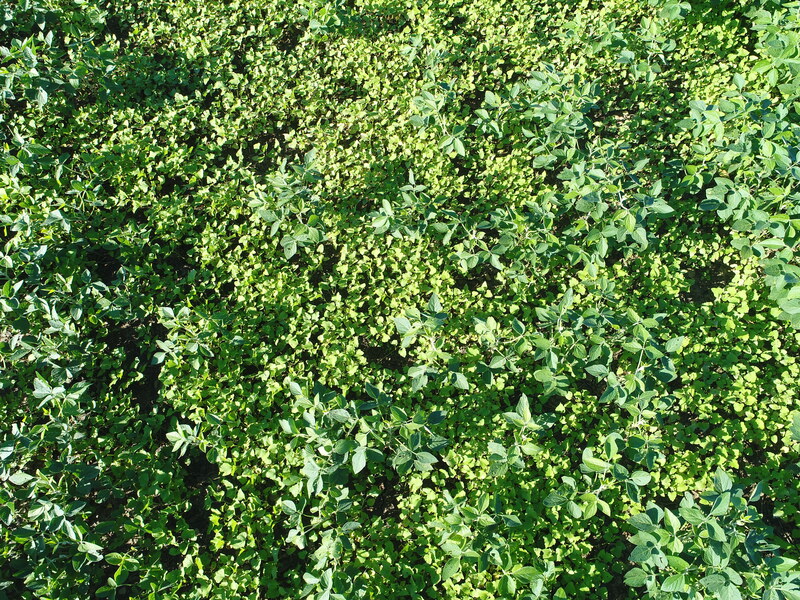 Net effect of this morning’s flights: Replant at Commer, no replant at Nellie… and some glyphosate needed at Commer. 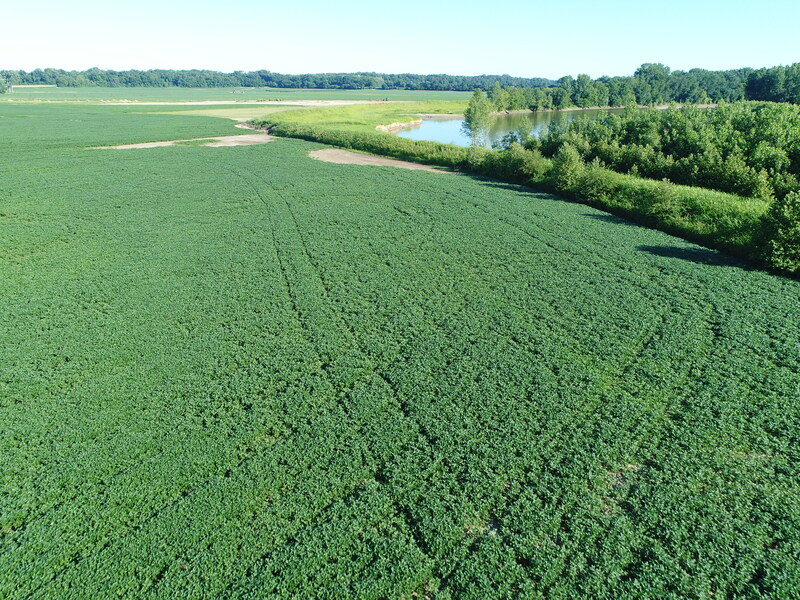 This entry was posted in Farm Days and tagged DJI Phantom 4 pro, soybean scouting. Bookmark the permalink.